One could argue that the boxy new Renegade is the oddball of the Jeep family. After all, it’s built in Italy of all places, shares its DNA with the antagonistically curvy Fiat 500X, and has evidently been designed to please the Muppets rather than Indiana Jones. But if our 440-mile tour up and down the Alps of Tyrol and Salzburg is anything to go by, the public loves the latest bantam SUV. Our 2015 Jeep Renegade Limited certainly garnered plenty of smartphone attention and thumbs up. Since beauty is in the eye of the beholder, we’ll give facts priority over feelings and start by noting the oddball packaging. The driving position is rather van-like, with the faraway base of the upright windshield creating a deep dashboard. Up front, there’s headroom galore (feel free to wear your tallest Stetson), but rear legroom is seriously compromised, and the cargo area is a scant 18.5 cubic feet. That last figure is 4.2 cubic feet shy of the Compass—but then, the Renegade is 8.5 inches shorter. The Renegade is a proper all-terrain SUV that will safely make it to your favorite ski slope or the far end of the beach. The pint-sized 2015 Jeep Renegade is critical to Fiat Chrysler’s plan to expand Jeep’s presence in Europe, so that’s where we put it to its first test: a two-day run over 12 mountain passes. Whereas U.S. buyers choose between a 1.4-liter MultiAir turbocharged four (160 hp, 184 lb-ft) or a 2.4-liter Tigershark fourcylinder (184 hp, 177 lb-ft), our 2015 Jeep Renegade was equipped with a 2.0-liter MultiJet turbodiesel. With 138 hp from four cylinders, the turbodiesel Renegade won’t make the podium of any serious hillclimb. But power isn’t everything. What matters more when you’re charging up a mountain pass is torque, and the Fiat engine musters a feisty 258 lb-ft at a relaxed 1,750 rpm. The relatively unrefined but perfectly punchy oil-burner helps the baby Jeep dash up hills and gradients molto presto. The 6-mile Gaisberg, for instance, was a brief 10-minute stint, Pass Lueg was over and done with before the first photo was in the can, and Griessen Pass and the two passes that followed were conquered with flying colors in fourth gear. Next on the list was Pass Thurn, which deserves a Porsche 911 but made do with the much more humble Renegade. Giving its all, the Jeep yodeled through the ultra-fast corners with enough body roll to make our poor passenger reach repeatedly for the grab handle. Although it was shod with soft snow tires, the Renegade held the road remarkably well. Better still, it didn’t understeer excessively, didn’t suffer from fits of liftoff squirreliness, and, with stability control switched off, was actually quite tweakable via throttle, steering, and courage. Jeep Grand Cherokee 2015 Specs & Details: SUV The Best Ever? While the choice for SUVs has never been so varied for the longest time, with Ford, Chevy and Toyota among others, releasing their best SUV models for the year, Jeep takes itself a notch higher from its fierce competitors. The 2015 Jeep Grand Cherokee ramps the roads with a whole new level of promise in specs and price. 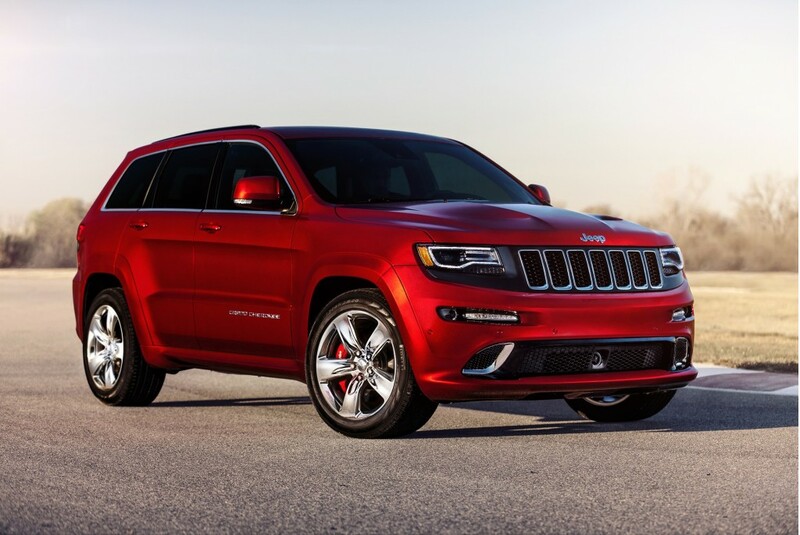 The 2015 Jeep Grand Cherokee is regarded as one of the best SUVs in the world. The award-winning SUV boasts a carved interior and can steer you to places in comfortable fashion. With 31 hwy mpg+ and more than standard, state of the art applications and devices, this SUV could very well be the best ever in the line. The previous versions of Grand Cherokee were never short of stunning and the makers of the car continue to improve the experience with it. The 2015 Jeep Grand Cherokee steps away from the traditional looks and style of SUVs by combining carved and visceral exterior with luxurious and urbane interior — something that separates it from the rest of the guys. The designers employed aerodynamics and “lowered front end, hood scoops and LED headlamp”, Master Herald reports. The Grand Cherokee uses a V8 Hemi for its power, and the physical engine block is connected to an advanced eighth-speed automated transmission system, which allows for a faster speed without consuming too much fuel. What is even more interesting in this new model is that it complies with the PZEV or the Partial Zero Emission Vehicle standards, making it environmentally-friendly. Jeep is trying to make the 2015 edition unmatched as the company integrates a superior electronic system. It has an automated stop-start technology for the Grand Cherokee’s 3.2 liter V-6, according to NY Daily News. The designers also add electronic security driver aids by installing a low-speed crash mitigation technology that is part of the collision warning system. Its engine can deliver up to 271-horsepower, with a front wheel drive registering a 22 mpg in combined driving, NY Daily News reports. The Grand Cherokee is constantly being compared to the Land Rover, which is believed to have the same specs but reviewers draw the line at the flexibility of the car — it can drive like a car and truck but excels both in paved surfaces. There is nothing like it in the world today. The Grand Cherokee shines from the rest of the mainstream and swank brands. Do you think the 2015 Jeep Grand Cherokee is the best SUV?